The 'Kasauti Zindagi Ki' was ephemeral for her. She sung the 'Kkavya' of her success and the 'Kusum' of her life blossomed after the rain of success of her soaps on the silver screen. Being a very religious and staunch believer in the auspicious power of the alphabet 'K', Ekta Kapoor ha s made it a habit to name all her serials starting with this letter. Leading the Balaji team she is very popular due to her uncanny knack to create climactic scenes which do not necessarily bring the serial to the end. She succeeds in keeping the audience's attention glued to the television sets. 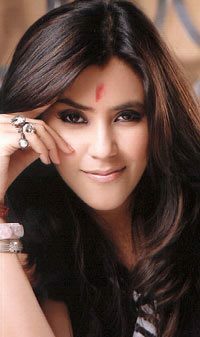 The soap queen of the small screen, Ekta Kapoor, will be celebrating her 33rd Birthday on June 07, 2008. She has always remained in limelight either due to her hit television serials or due to her crush on Karan Johar or a clandestine affair with Rajeev Khandelwal. Ganesha would like to throw light on her career based on astrology. Ganesha observes that Ekta has Stellium of three planets in Taurus which makes her very business and money oriented. Mercury is retrograde so she has a very good sense of scripting and powerful Jupiter with Mars in Pisces indicates that she has good directorial abilities as well. Currently Jupiter is transiting through the 8th house in her Natal chart and aspecting her Natal Saturn. On the other hand, Saturn is transiting through Leo aspecting the 10th house of Karma in her Surya Kundli. These factors indicate that Ekta Kapoor will come up with a big project. 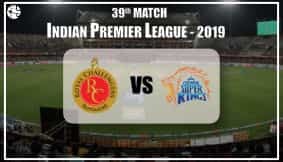 The project may get delayed due to difficulties but finally the project will make good money because Jupiter will be moving direct from the month of September and will be aspecting her Saturn which is posited in the Dhan Bhuvan of Surya Kundli. Ketu's transit over her Natal Venus indicates that she will have to do a lot of financial adjustment and management during the year ahead or else she may face financial difficulties. After December 2008 she may also think of expanding her business. She may even invest in film production. During the next year she may try to change her image in the market of serials and she may also play a vital role in changing the trend of the market. In her Surya Kundli, Rahu is posited in the seventh house in Scorpio, which indicates delay and difficulties in marriage. Currently Ketu is transiting over her Natal Venus and Rahu is in opposition to Natal Venus. This factor indicates that she is likely to experience ups and downs in her love life and it may be difficult for her to establish a very stable union till the year end. However, on the positive side, transiting Jupiter will be entering Capricorn in December this year and will aspect her Natal Venus which indicates a favourable period for marriage during 2009. Ketu's transit over Venus may continue till last quarter of 2009 so even if she decides to marry, it may happen in the later part of 2009. Ganesha wishes her a Happy Birthday in advance and also wishes her good luck for her personal life and career.